Large lobby, skins and micro-transactions, a large map and lots of T-Bagging. As the title says, today we shall look at some of the best Battle Royale-themed games in the current market. 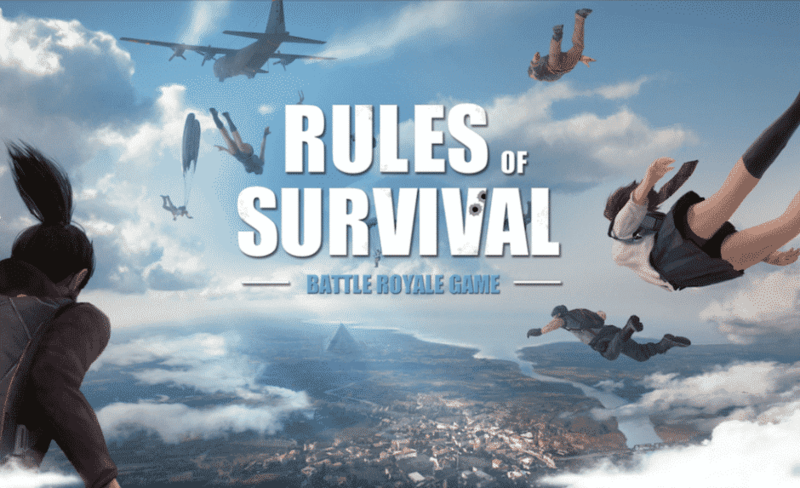 Unlike previous articles, this one will be an ordered list of Top 5 Battle Royale Games. The games we chose and ranked are based on their popularity, graphics, gameplay, downloads and active player base. As always, if we miss out any classic Battle Royale Game, do let us know in the comments section. With that introduction aside, let’s get into the list and find out what titles made it to the list. Well, I’m sure nobody or most of you guys haven’t heard of this game. Well, that’s because this game came out on May 30th of 2018 from Netease Games Studio. The game costs just 125 INR or $2.99 USD on steam. It features 300 man lobby for Solo or Team game modes. It has a variety of vehicles and boasts an idea of survival the same as PUBG. OK, I’ll be honest with you guys on this one. It looks almost similar to PUBG but it’s more like the PUBG that was made for Potato PCs. And the reviews on steam are although mixed, I would say the game has lots of room for improvement in all departments of the game. But the fact that it’s so cheap features Battle Royale style and can also run on a Potato PC, we felt like it was the right decision to include this game in the list. 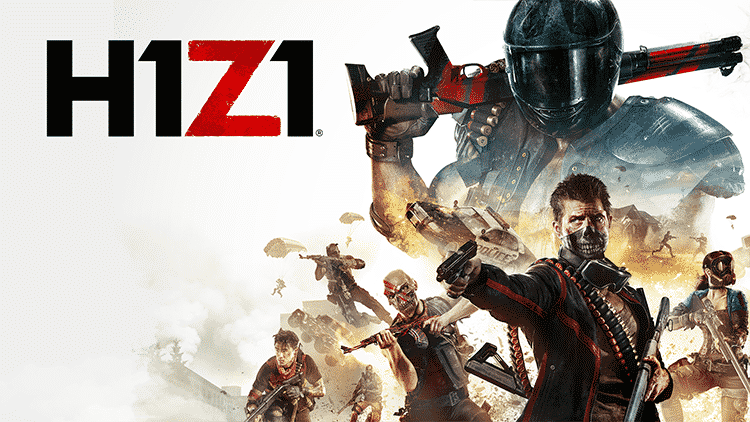 H1Z1 is a free-to-play Battle Royale game, released by Daybreak game company as a project back in 2016. The game featured up to 150 players competing to be the last man standing in a deathmatch. The game features modes such as Solo, Duo, and Squad with the same goal as to be the last man/group to be standing. 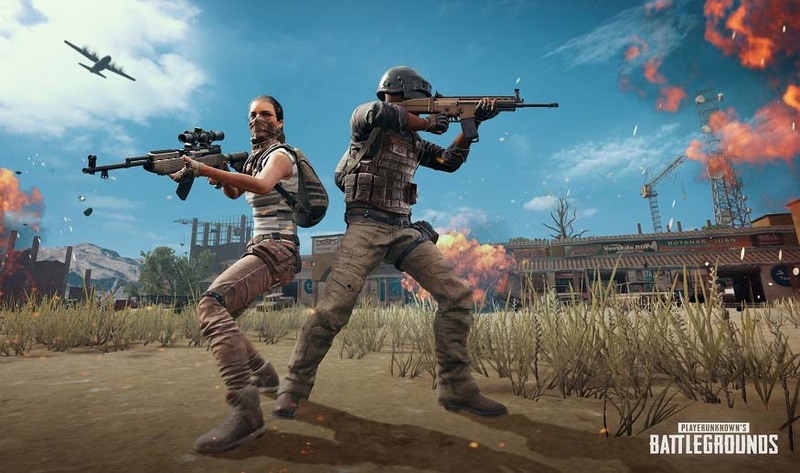 This particular game was very important for the development of currently popular PUBG and Fortnite because this game introduced and also pulled a lot of people away from eSports titles to the raw entertainment of Battle Royale style. cos that’s what Battle Royale is all about, having fun while being the last man standing; I mean which gamer doesn’t fantasize such a world where he can kill, survive and be the best among a group of 150. The game is currently supported on Windows and PS4 with Xbox One receiving the game this 7th of August, hoping to recapture it’s lost the player base. 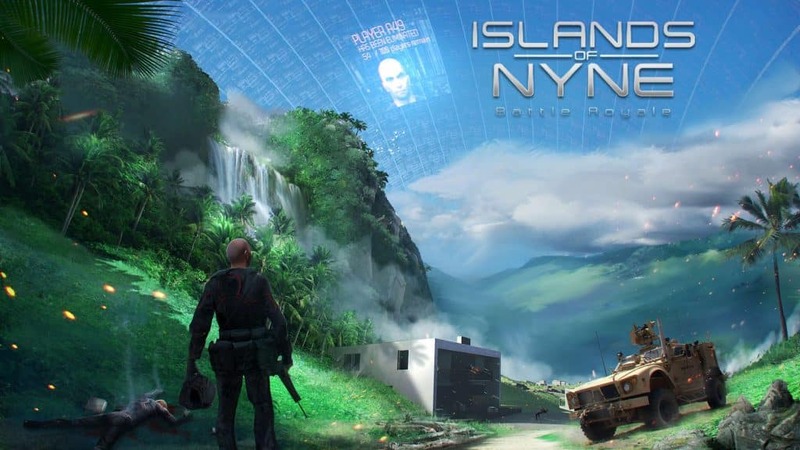 Islands Of Nyne is a futuristic, sci-fi looking Battle Royale Game developed by Define Human Studio. The game features alien-built arenas for first person shooter and survival. The story/theme behind the game is Aliens have captured/conquered Earth and have gathered 100 humans to find the best survivor of the game as quoted by CEO of the studio in one of the interviews. The game tries to be unique from others in this list by adding Sci-Fi skins by default to the players making it sort of look like trimmed down Nanosuit from Crysis. Also, the game has not included any parachute to drop down to the Combat area cos we’re on a kickass suit that’s why!! The game boasts great graphics, fast-paced gameplay like CSGO and also has the growing player base on Steam. It has also managed to pull Shroud (former CSGO Pro) away from PUBG and CSGO and other popular figures on Twitch. The game is promising and of course, is a bit heavy on the hardware so do make sure you’ve sufficient juice to run this bad boy! Also known PUBG developed by the guy whose alias is “PlayerUnknown”, and hence the name of the game. The game was released in early 2017 as Early access program, captured the huge audience from H1Z1 and other major titles such as CSGO (which was hugely populated with hackers and other bugs in the game). Like the other games in this list, it also features Solo, Duo, and Squad modes of gameplay. The rules were also similar, be the last man standing by killing or surviving with weapons and equipment collected from random buildings spread across the 8*8 km island. The game was, of course, was not well optimized when it came out but it did manage to impress a large audience. When I say a large audience, it went on top the list of Game with Highest Number of Concurrent players with 3 million players by the end of 2017. Now if we look at the other games in that particular list, at the 2nd position was Dota 2 with 1.29 million players; a record set in 2016. 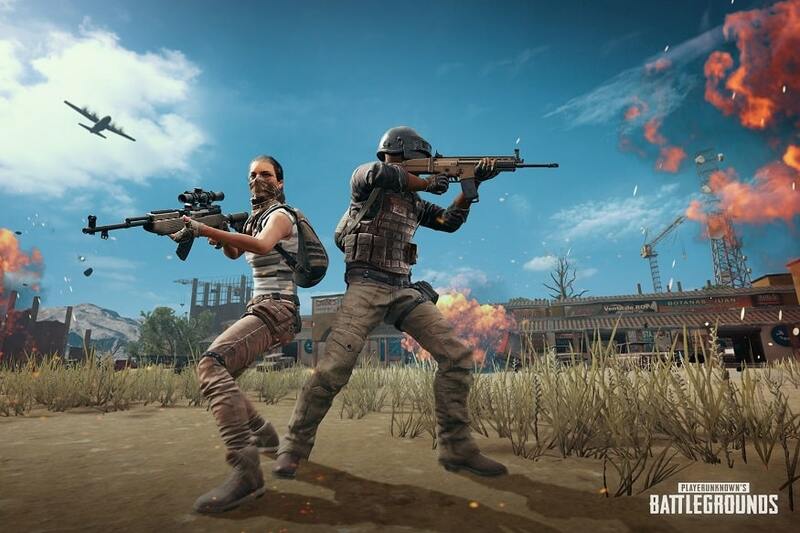 The game has definitely risen in popularity which has inspired Bluehole to release Android and iOS versions of the game for mobile gamers worldwide. Currently, the game is available for Windows, Xbox One, Android and iOS platforms (sorry Sony xD). Well, I’m sure nobody’s surprised to see this game at the top. Because of the number of downloads, cartoon-ish graphics, sick dance moves, micro-transaction, and huge player base this game flies to the top of our list with ease. 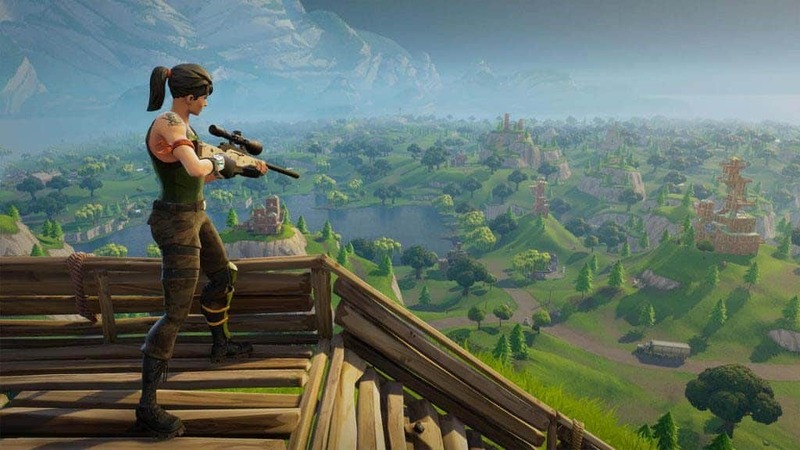 Battle Royale is actually a mode of the game Fortnite which featuring 100 man PvP mode, parachuted into an island from a Bus where everyone’s partying (cos logic!) The rules are the same as any other game, gather equipment to survive/kill and be the last man/group standing. Talking about stats of this game, it currently has a player base of 125 million players worldwide with releases on Windows, Xbox One, PS4, Switch, iOS and soon on Android platforms. To put into simpler terms, the Battle Royale mode of the game is generating revenue of hundreds of million dollars each month of 2018 so far. With these numbers in the back, Epic Games is planning to organize a Fortnite World Cup Tournament in 2019. That’s right boys a World Cup Tournament for the gamers. Not sure how the whole world will take it, but to us, gamers its definitely a step in the right direction for growth of the gaming Industry and Fortnite as well. Well, that was our take on the Battle Royale Games. If we missed any classic, do let us know in the comments section and of course, criticism is welcome. See you guys in the next one.